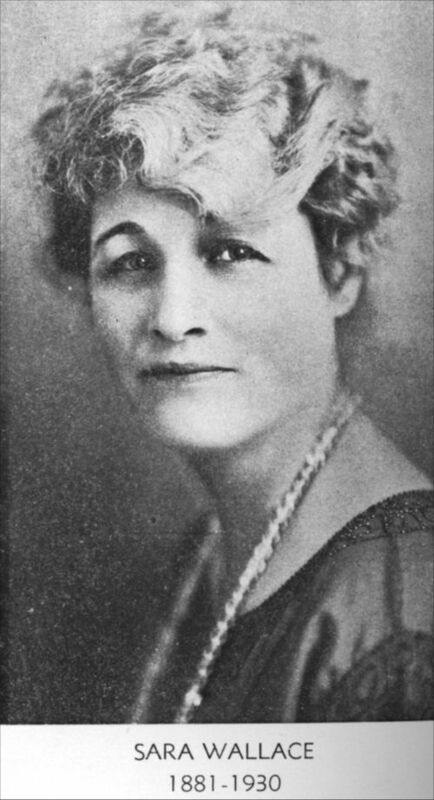 This black and white portrait shows Sara Wallace, (1881-1930), taken from the Sept-Oct 1931 poetry magazine "The Harp". A native of Wilmington, Delaware, Mrs. Wallace and her husband Leslie were the publishers of the Larned, Kansas newspaper the "Tiller and Toiler". As a writer, she wrote about the daily activities surrounding her community. In a series of stories that were published in the "Tiller and Toiler", Mrs. Wallace captured the quality of life in a small Kansas town when she wrote about the daily lives of the women in and around the town of Larned. Her writing talents were put to paper until her death in 1930 at the age of forty-nine.